Where Dreams are Built ! Streamline Custom Modular Homes is transforming the status quo of the modular home building industry. Our staff knows the modular system-built industry and what it takes to design, build and sell quality constructed custom modular homes. Our attention to detail and commitment to quality is the foundation for every home, commercial structure and multi-family unit we build. Create your own house plan or choose from our many 1 bedroom, 2 bedroom, 3 bedroom, 4 bedroom and 5 bedroomhome plans. From our stylish 2 br and 3 br ranches to our traditional 4 br and 5 br two stories, you will find the designs for your dream home. Let our team of experienced builders assist in the design and construction of your new home, from custom floor plans, beautiful kitchens, spacious bathrooms, and a wide variety of floor coverings. Let us make your dreams an affordable reality. We have built solid reputation for excellence in quality prefabricated homes and high customer satisfaction. We offer superior customer service before and after every sale, and every modular home we sell comes with a RWC 10 Year New Home Warranty. Our modular homes are available with custom floor plans and that is what makes Icon Legacy Custom Modular Homes the manufacturer and builder of choice for custom modular homes, prefabricated homes, prefab homes, retirement communities, townhouses, duplexes, and condominiums. 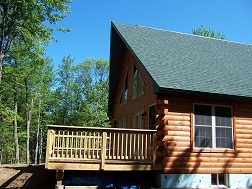 Designs and buildings of our custom prefab homes, prefabricated homes and manufactured modular homes are available in PA NY NJ MA ME CT VT RI NH VA MD DE WV NC SC. Note: We only sell to builders with a builders license in the state you contract in or a customer that has hired a licensed builder ! Streamline Custom Modular Homes offers clients a full line of Modular Housing options with a custom home selection that includes an exciting array of Ranch, Bi-Level, Colonial, Cape, Contemporary and Chalet floor plans. Streamline also offers Multi-Family, Duplex, Townhouses and Log Style Homes with complete customization of all floor plans, ours or yours. WE WILL HELP BUILD YOUR DREAM HOME !!! 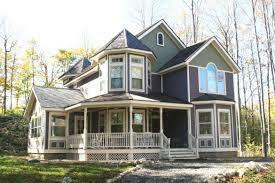 Streamline Custom Modular Homes is a leader in custom modular home designs. Whether it is a 4 or 5 bedroom modular floor plan or a 2 or 3 BR modular floor plan design that you are looking for, we can design your home with numerous value added features to suit your lifestyle which include spacious master suites with deluxe master baths, open designs with vaulted ceilings, formal dining rooms, great rooms, and custom kitchens. 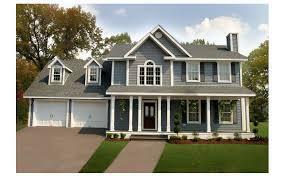 You can add a garage, dormers or a porch that will make your home a showcase in any neighborhood.